Nice review! Always up for a good mermaid book! This one definitely sounds interesting and will have to keep it in mind for when I need my next mermaid fix! Mermaid books are a necessity for me, lol. I do hope you read it and I'd love to hear what you think! Great review! I love mermaid books, so I will definitely be picking this one up! Glad you enjoyed this one for the most part Ashley, despite the rocky start and the fact that not all the characters weren't quite as fleshed out as you would have liked. 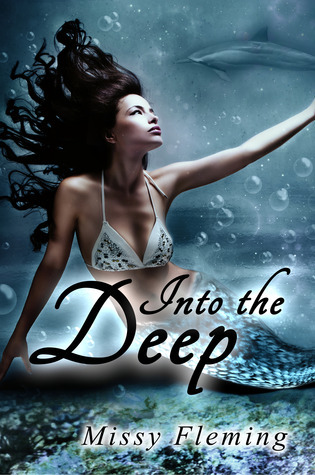 I haven't read very many mermaid stories, so I am curious about this one:) Lovely review! i would definitely give this one a try! I wonder why mermaids books are like that. It's true, I've yet to find a mermaid book that leaves me going OMG BEST BOOK EVER. You know? It's sad because they're my favorite fictional creature. What do you mean by balanced? As in the bads and goods cancel each other out? Hmm, I think I'd say that's a fair statement if that's what you meant.